Earlier this month I had the opportunity to attend the first annual Virginia Wine Summit in Richmond, VA to officially kick-off Virginia Wine Month. Given the significance of this inaugural event and the potential to learn a thing or two tasting alongside winemakers, shakers, Sommeliers, and notables like Stephen Spurrier, I decided to take a vacation day from the 9-to-5 hustle to attend the event. 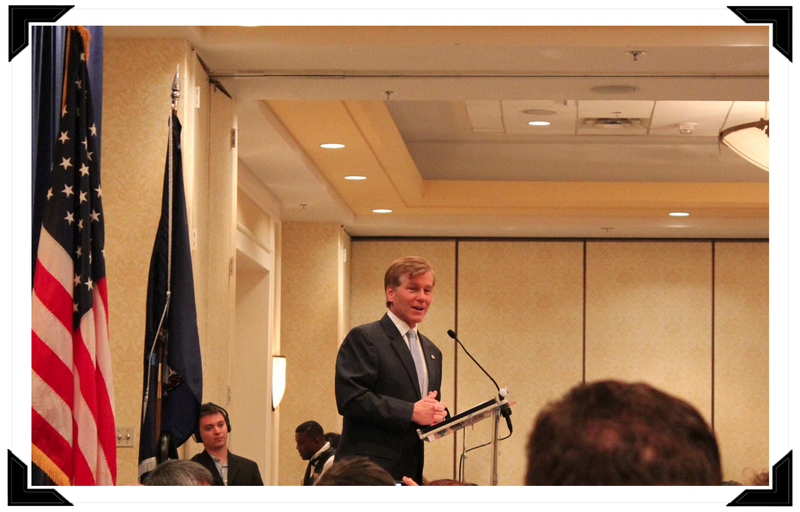 Governor McDonnell and the First Lady originally came up with the idea for a Virginia Wine Summit. Since the Commonwealth hosts other similar summits for education, energy, and transportation, a wine summit seemed a logical decision given the growing importance of wine in Virginia (though, clearly never as important as education, etc.). The huge success of the first Virginia Wine Summit is attributable to Secretary of Agriculture and Forestry, Todd Haymore, and the result of tireless work — like working at the Marriott until 3am the night before the event and then returning at 7am to make sure the event runs flawlessly — by Annette Boyd, Amy Ciarametaro and Mary Catherine Searson of the Virginia Wine Board Marketing (on Twitter: @VAWine), as well as Virginia Wine Board members like Diane Flynt of Foggy Ridge Cider (on Twitter: @FoggyRidgeCider), Luca Paschina of Barboursville (on Twitter: @Barboursville), Mills Wehner of Chatham Vineyards, and Polished Pig Media (on Twitter: @PolishedPig). Michelle reviewing the wines at the evening tasting. “Breakfast of Champions” Tuesday morning at the Richmond Marriott Hotel was nothing akin to a typical breakfast engagement. Instead of eggs, bacon and orange juice, our “meal” consisted of 16 glasses of wine. A panel sat poised in front of the room, boasting top-notch wine experts, including Decanter Magazine’s Steve Spurrier, Food & Wine Magazine’s Anthony Giglio, importer Bartholomew Broadbent and Master Sommelier Jay Youmans. The tasting was coined: “Judgment of Virginia,” a blind tasting of Virginia wines versus other wines of the same grape variety from around the world. The model for this tasting was none other than the famed “Judgment of Paris,” in which California wines swept the competition, winning over some of the most renowned Bordeaux and Burgundies. Steve Spurrier organized the tasting in Paris, and here in small town Richmond, sat Steve again, 36 years later, orchestrating a another comparative tasting. Looking around to a room of over 150 Wine & Food Professionals, I could not help but wonder how Virginia wines would fare. We are a young wine region, and while we know we are making some very good wines, we are still dramatically undiscovered. Is Virginia ready for Judgment? 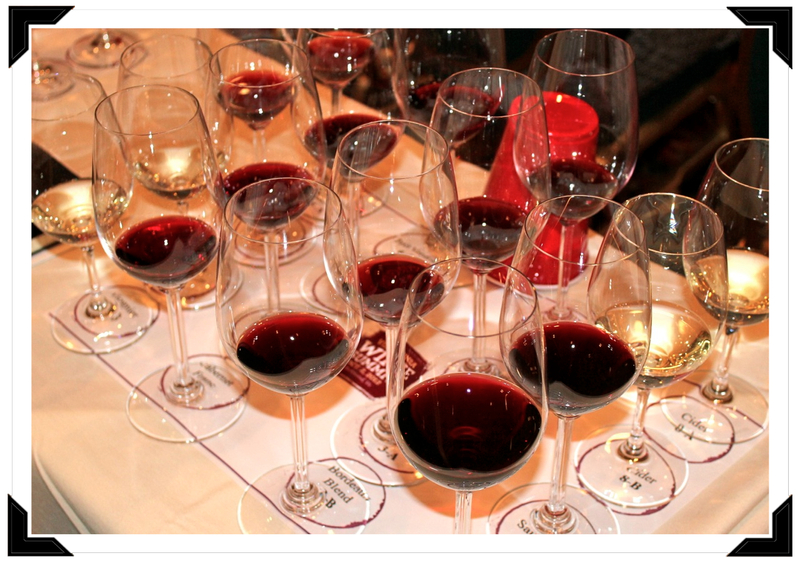 The results of the tasting suggested that Virginia is not only ready to be a competitive contender, but, and as supported by a majority of votes in the audience, Virginia wines exemplified a level of quality and direction which either equaled or surpassed wines from Chinon, Bordeaux, California, and even the famed estate 1976 winner, Chateau Montelena . 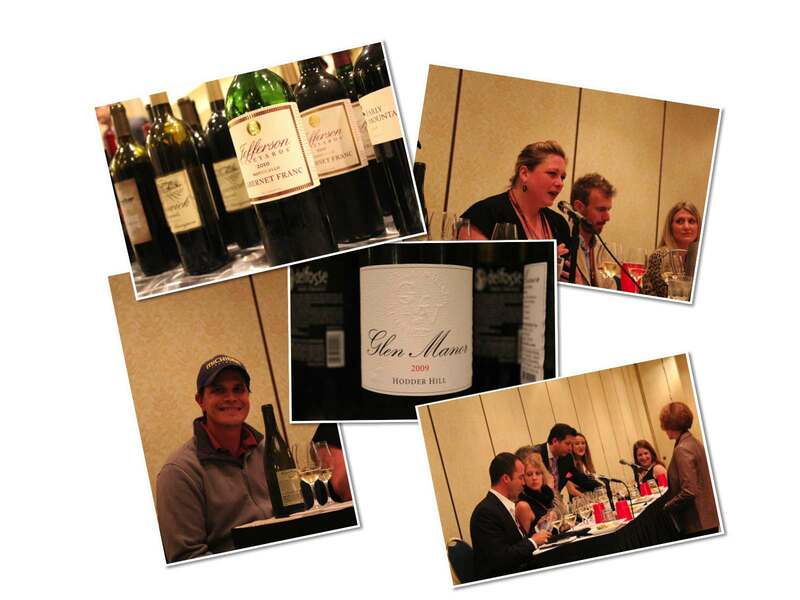 Though the 4 experts on the panel differed in palate preferences, their reviews indicated that Virginia wines have a unique place and should capitalize on Old World characteristics, as well as varieties that are standouts, such as Viognier, Cabernet Franc and Petit Verdot. The audience was also polled, and Virginia wines (along with one cider) “won” (by majority vote) an astounding 6 out of 8 comparative variety tastings. Could this be a Watershed moment for Virginia’s viticulture? With ~220 wineries in the State, Virginia’s potential and prestige as a major wine producing region has recently escalated to new heights. And with the support of Governor McDonnell and First Lady Maureen McDonnell, we are poised for continued success and attention. Virginia’s First Lady was bold enough to approach Steve Spurrier to invite him to Richmond for a tasting of Virginia wines. Her example alone reminds us of the tenacity and courage necessary to propel Virginia wines forward. But, it’s not just fearlessness and courage that will propel Virginia’s wine industry forward. 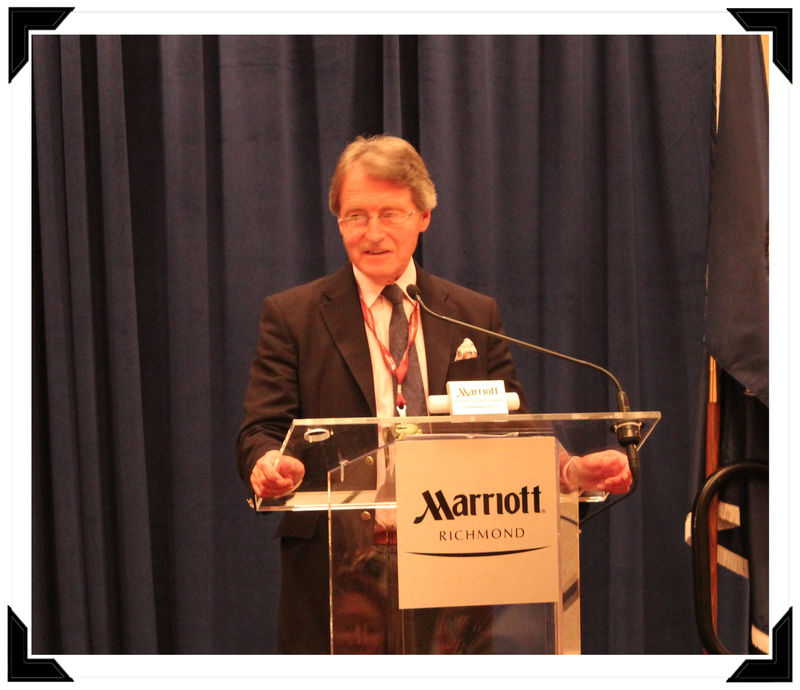 During his luncheon keynote address, Steve Spurrier suggested that Virginia wines are showing defined structure and “precision.” As he duly noted, the Virginia wine industry should campaign around what is uniquely Virginia. The State of Virginia is worthy of making a stamp on the wine industry, without needing to copy or assimilate with another region’s prototype. The speaker who followed Spurrier couldn’t have been more apropos. Jean Case – most commonly associated with the marketing genius behind America Online – purchased a vineyard in Madison, Virginia this past year and is committed to both exposing Virginia wines at a grander level, as well as to applying capital to our State’s viticultural needs. Via Jean & Steve Cases’s new winery at Early Mountain Vineyards, Jean has created and invested in a partnership and social enterprise model which supports the growth and exposure of other revered, carefully selected wineries throughout the State. She believes that a unified front will resonate on a larger scale. This “newbie” (as she calls herself) is on to something . . . and is fearless in her support for what is uniquely ours. Jean Case, Early Mountain Vineyards, speaking to the Virginia Wine Summit group. Given the talent, clout and prestige evident in the room around us and throughout the seminars and panels throughout the day (which featured some of our Country’s top Sommeliers, Chefs, and Reviewers), I could not help but look around and be proud of what is happening on the Virginia wine front. 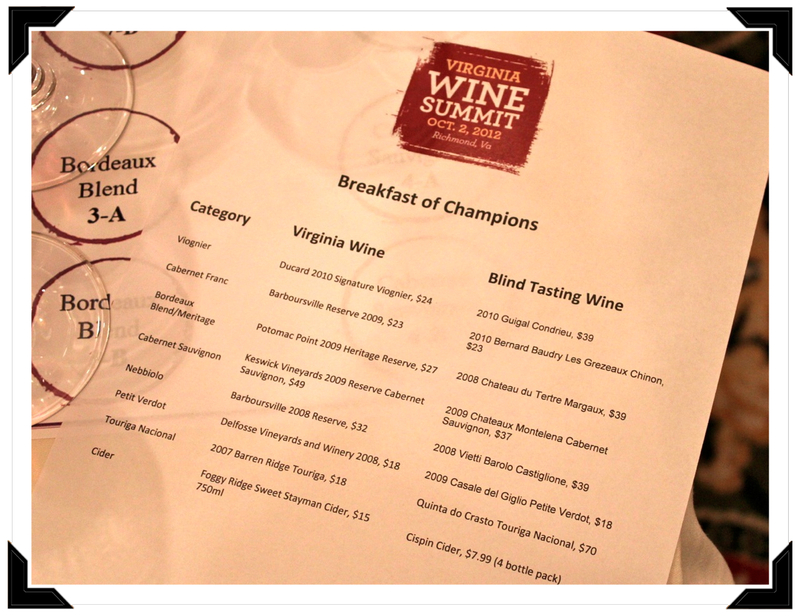 Contrary to my butterfly-like feeling earlier in the day when we “faced the bench,” I walked away from the Summit without apprehension about the capabilities and competitiveness of Virginia wines; instead, I felt exhilerated for what possibilities await in Virginia’s wine industry’s future. Be bold, be fearless, be Virginia! 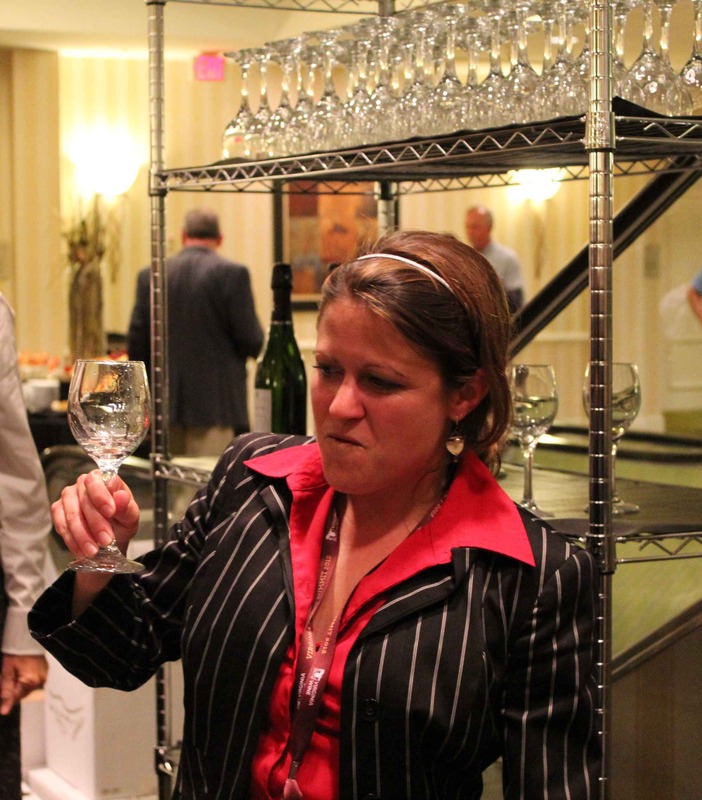 Michelle Gueydan is a Sommelier at Early Mountain Vineyards and organizes a partnership of Virginia wineries known as “Best of Virginia.” She has worked with many celebrated Chefs, including Chef Patrick O’Connell of The Inn at Little Washington and Chef John Besh in New Orleans, LA. Ending a great event on a high note… Christine Vrooman of Ankida Ridge (on Twitter: @AnkidaRidge), Michele, me, and several others finished the Virginia Wine Summit with an amazing dinner at The Roosevelt. A fantastic meal and exclusively Virginia wine list — stop in the next time you’re in Richmond! 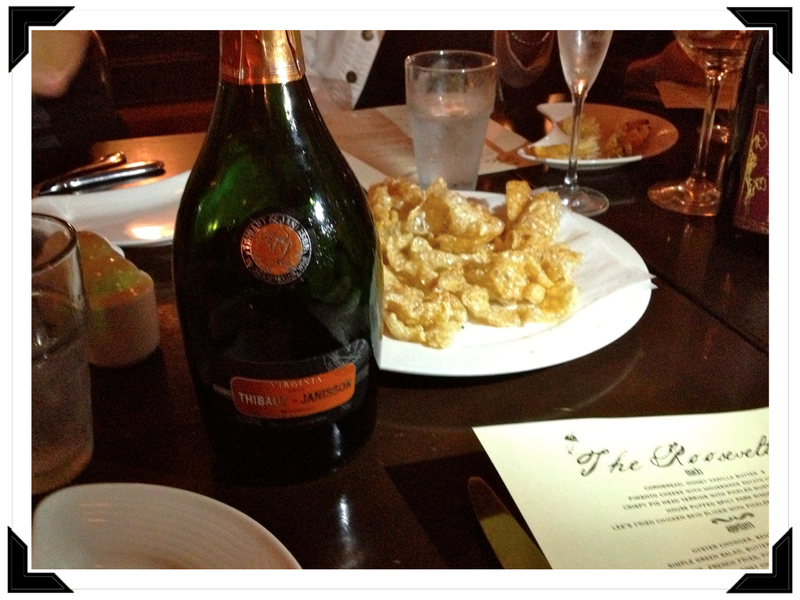 Started dinner with Thibaut sparkling wine and pork rinds… wow, so good! 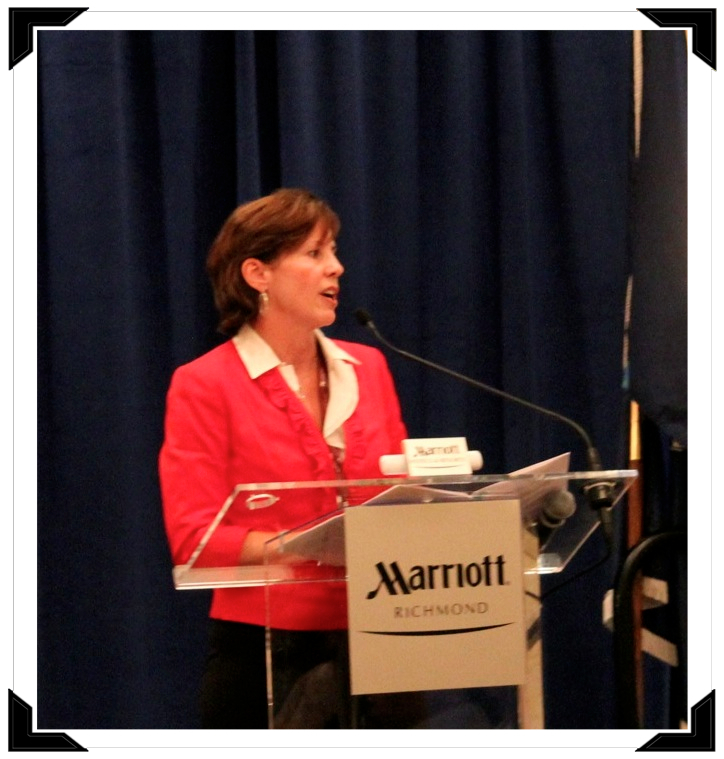 Thank you Michelle for sharing your thoughts on the inaugural Virginia Wine Summit, and to everyone who made this a memorable event. Nice summary of the event Michelle! Thanks for taking the time to share your experiences. Exciting times for Virginia! Thanks for stopping by, Derek. These are indeed exciting times for the industry. Need to get back out your way for a visit. All the best!